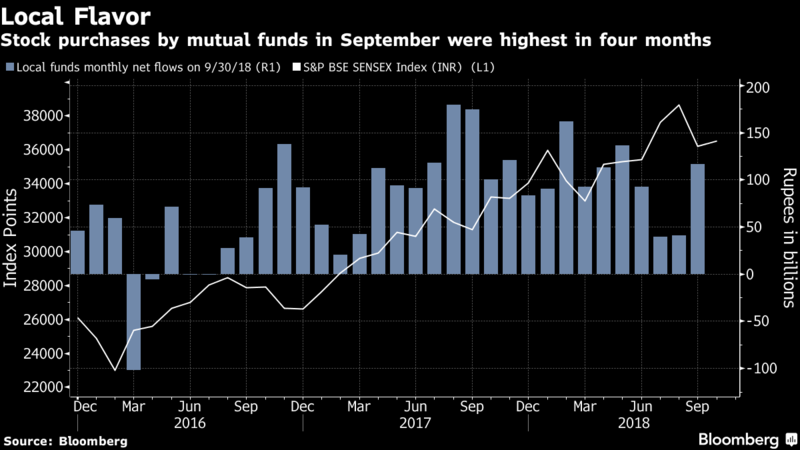 Mumbai: Investors in Indian equity funds held tight and even bought more last month, seemingly unfazed by the selloff triggered by a tumbling currency and a crisis at a troubled lender. Stock funds took in 111 billion rupees ($1.5 billion) in September, the most since May, up from 83 billion rupees in August, data from the Association of Mutual Funds in India show. Indian equities — Asia’s top performers until recently — sank into a correction last week amid a flurry of bad news, from surging oil prices and a slumping rupee to a rout in non-bank lenders following defaults at an infrastructure financier. Further erosion may affect flows to mutual funds, which have repeatedly buffered the nation’s $2 trillion market against the risk-off mood. “Equity flows are supported largely by retail, a segment that typically takes a bit longer to react to situations and is not as nimble as institutional investors,” said Vidya Bala, head of mutual fund research at FundsIndia. “It is possible that investors, especially new entrants who have not seen a correction like this, may panic if markets don’t stabilize,” she said. Individual investors have flocked to mutual funds since Prime Minister Narendra Modi came to power in 2014, and own little over half of the 22 trillion rupees of industry assets, data from AMFI show. The influx of cash has been aided by policy changes, including the currency clampdown in 2016, which hurt returns from property and gold, the traditional favorites. 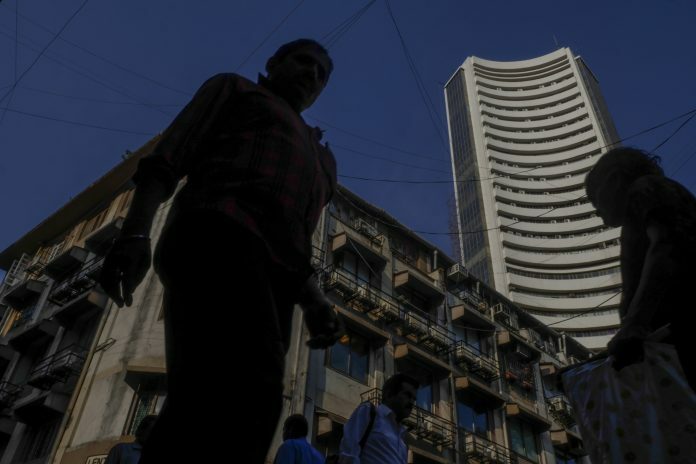 Continued support from local funds have kept Indian equities relatively insulated from headwinds such as the rising trade tensions between the U.S. and China — the S&P BSE Sensex climbed to a record in August — and more than made up for foreign outflows. Last month, mutual funds bought 116.4 billion rupees of shares, negating sales of 96.2 billion rupees by global investors, data compiled by Bloomberg show.